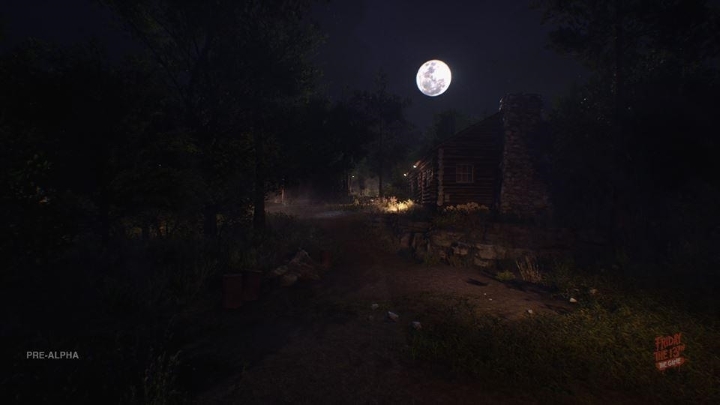 Fans of the Friday the 13th movies were delighted when developer Gun Media announced last year that they were working on a video game based on the world-famous horror franchise. And it is clear that the original movie, which was released back in 1980, is something of a cult classic of the horror genre, and was a slasher movie featuring plenty of shocking violence and brutal killings. And clearly Gun Media are not looking to disappoint fans of the Friday the 13th series, as the dev has said that they are ”revitalizing the golden era of slashers, and putting you at the controls of each horrific, blood-splattered moment”. And since they not bound by a publisher’s rules, as the game is Kickstarted funded, they won’t be “compromising what made the film franchise so popular”. It is likely that the game will nail the movies’ atmosphere though, because not only Sean S. Cunningham, who directed the original movie is on board as a consultant, but Gun Media has also hired Tom Savini, who has done special effects work for well-known horror movies like The Texas Chainsaw Massacre 2. And even actor Kane Hodder, who has played Jason in most of the series’ movies so far, is doing motion capture work for the game. And in an effort to make Friday the 13th: The Game as violent and gory as the movies, Gun Media have created several gruesome kill animations, which were revealed at the PAX South gaming show in Texas, according to website iDigitalTimes. These range from Jason Voorhees drowning players in a toilet to him folding players in half in a beach chair. And the iconic psycho in the hockey mask can even kill players by smashing them against a tree in a sleeping bag, like he does to a character in the 1982 movie Friday the 13th Part III. The game will feature character classes like the nerd and the jock, with the latter having the upper hand when it comes to outrunning psycho Jason, and the former being handy when it comes to fixing things, for instance. Also, it is not clear whether a human player will be able to control Jason or not, but if this is not the case then developer Gun Media must clearly build some very sharp AI for Jason to make things believable. A bit like what English developer Creative Assembly did with their Alien: Isolation video game, as the computer controlled alien was completely believable and realistic in that 2014 game. And while it remains to be seen whether this game will be any good or not, at least Friday the 13th fans will be rejoicing in the fact that Jason Voorhees will be getting his own game after featuring in Mortal Kombat X as a DLC character. And hopefully Friday the 13th: The Game will turn out to be a good game, one that not only appeals to fans of the movies but to gamers in general, when it’s released later this year. Note: Friday the 13th: The Game will be released in October 2016. Available on PS4, Xbox One and PC (Steam). Next: Will We Ever See a Console Version of Firaxis’ XCOM 2 Game? Will We Ever See a Console Version of Firaxis’ XCOM 2 Game?